WPT Water Cooled Brake (WCB) is a high energy absorbing solution used as a dynamic tensioning and static holding brake. The design of the internal water flow and copper alloy wear plates allows for greater heat dissipation characteristics. 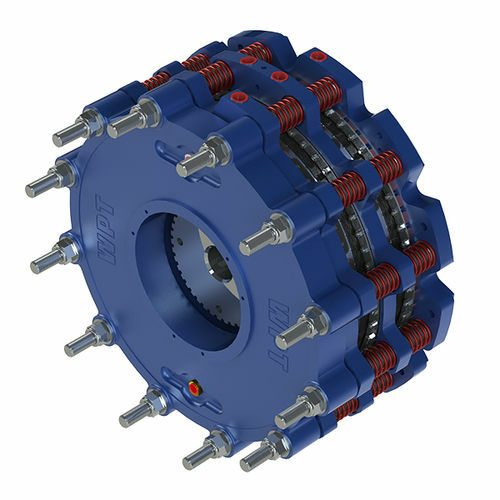 This is best suited for applications where a heavy-duty continuous slip tensioning is needed such as drawworks, mooring winches, dynamometers, paper mills, coilers and yarders.